only those who have been left behind." From pop culture to the avant garde, we champion authentic voices across design and culture. We believe in storytelling as the guiding principle to define a brand. Our work embraces opportunities to develop cultural relevance. We revel in the unknown, creating solutions to problems that don’t yet exist. We believe that innovative ideas live in a space between the foreign and familiar, pushing dialogue based on history and research, combined with trust for one’s primal instinct and intuition. In other words, we know the rules and when to break them. We understand that there’s no data to rely on when leading, only the compass of curiosity. We produce work that provokes an emotional and intellectual response—with authenticity, nuance and style at the heart of every project we undertake. Whether we’re developing an emerging artist or evolving a seasoned brand, we serve as a creative partner—exploring the unknown, generating big ideas, connecting the dots, and saving the world from the ordinary one client at a time. Design authority Sean Yashar manages talent in the decorative arts sphere. He consistently heralds bold new makers, designers, and artists. In 2010 Yashar launched The Culture Creative, a holistic management and communications agency for the decorative arts. A Los Angeles native, Yashar has developed projects and programming for the West Hollywood Design District and the La Cienega Design Quarter. 2012 saw Yashar’s creation of West Hollywood’s flagship annual design event, “D.I.E.M.” (Design Intersects Everything Made) ushering in a new direction for the city as an international design hub. 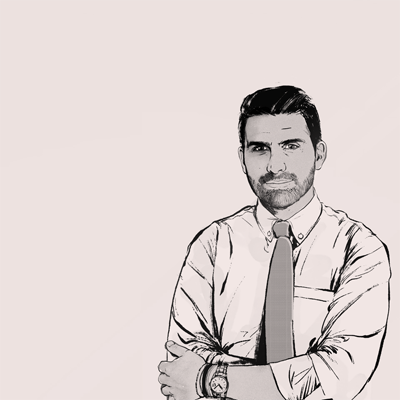 In 2015, Yashar founded AUX (pr. Auxiliary), The Culture Creative’s production house, dedicated to experimental design, art, and craft. In 2017, Yashar co-founded FURTH YASHAR &, a pop-up exhibition space for Los Angeles dedicated to collectible contemporary design. Yashar has been recognized in such publications as Architectural Digest, Elle Decor, Interior Design Magazine, Wallpaper, Cultured, The Hollywood Reporter and C Magazine. He has been featured as a design expert on NPR, and has appeared as a judge on Ellen’s Design Challenge on HGTV. Yashar ran a vertically integrated friendship bracelet company in the 4th grade. He’s been building brands ever since.